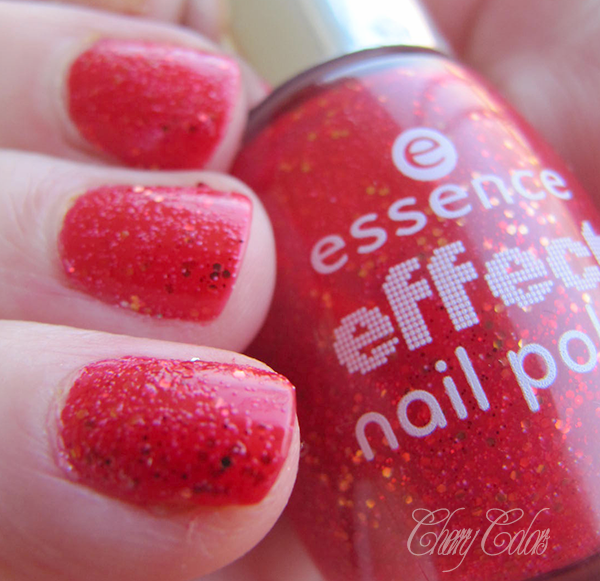 NOTD: Essence Heart Explosion - Cherry Colors - Cosmetics Heaven! 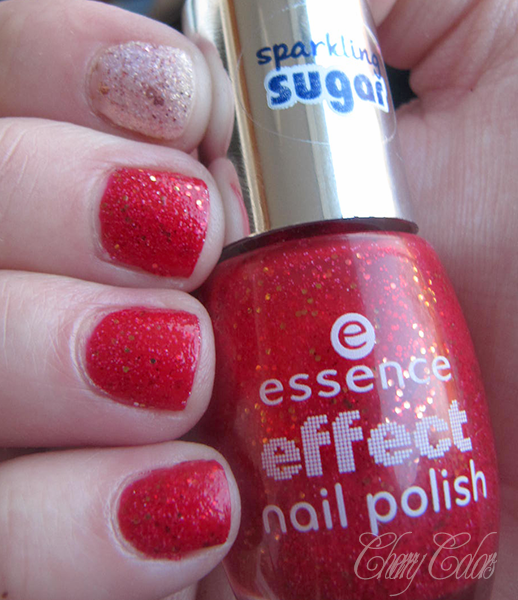 I once went to check the new Essence items and laid my eyes on this amazing red sparkling nail polish. 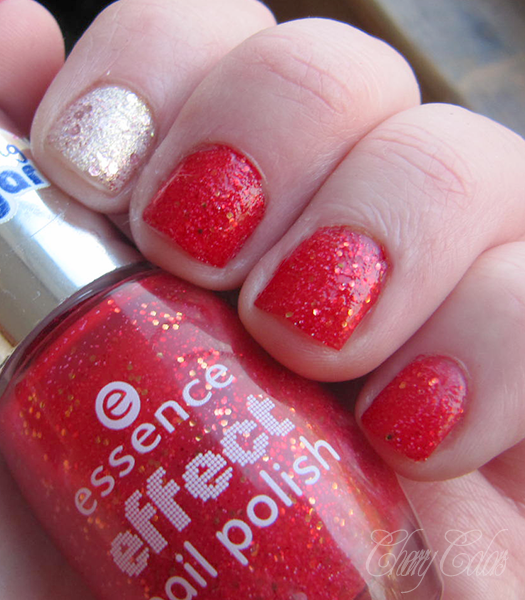 I love red polishes, they are always trendy and it seems I just an't get enough of them. Anyway, I checked it out and made a mental note about it. I didn't buy it that time since there was too many people to shop comfortably, but I did get it the next time. I paired it with Catrice Oysters & Champagne which is just lovely. The application was flawless, nothing out of the ordinary. I needed two layers to get the opacity I wanted. One layer and it looked more pink and less "wow". 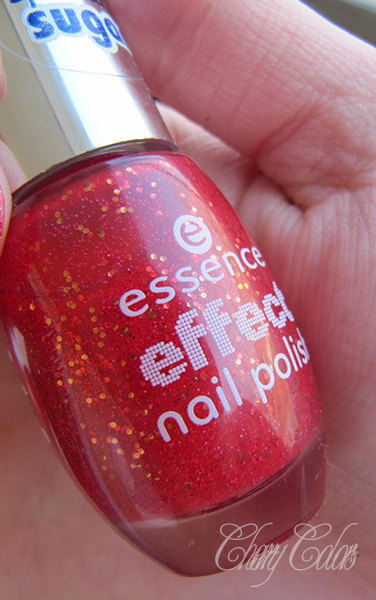 It dried quite quickly (20 min), which I heard it's not the case with the old sand version of the red polishes (from the regular line, which is now discounted). 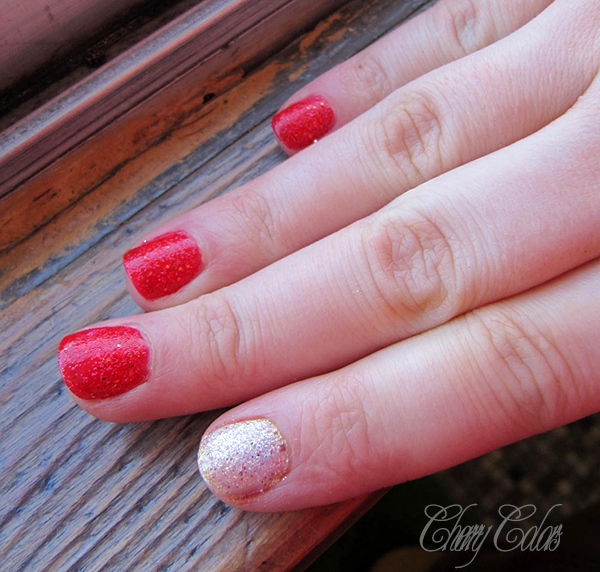 Ah, my poor cuticles?! D: I don't know what happened with those, but it may have been an accident. So excuse them :(. 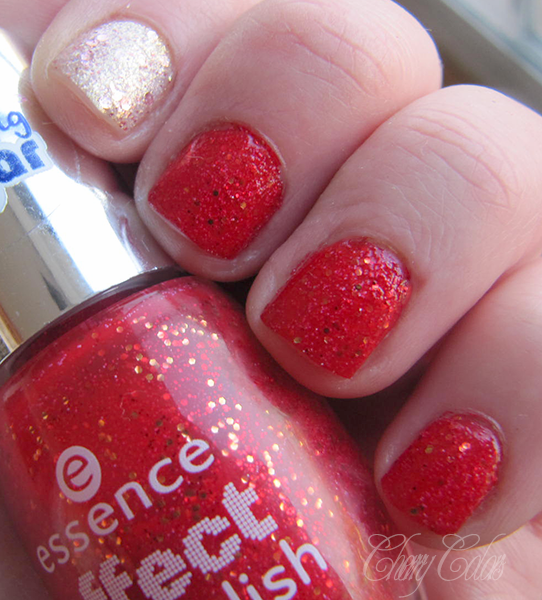 Do you like the new line of polishes from Essence?